We spent a sunny weekend camping in Moreton-in-Marsh and walked through some of the beautiful Cotswold villages and countryside. Blockley has an excellent Community Shop and Cafe and set on the hillside, it has lovely views across the Cotswold countryside. 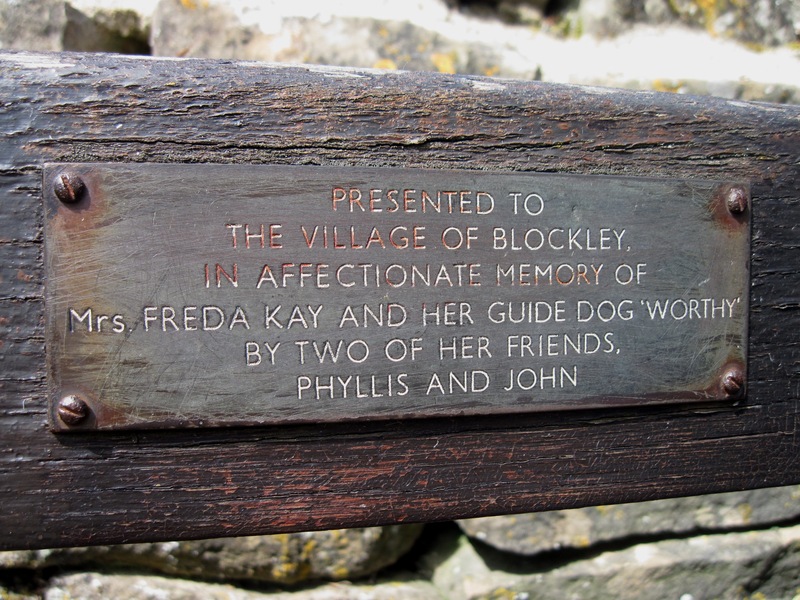 This sense of community I picked up from the village was also evident to the bench to commemorate Mrs Freda Kay and her guide dog ‘Worthy’. 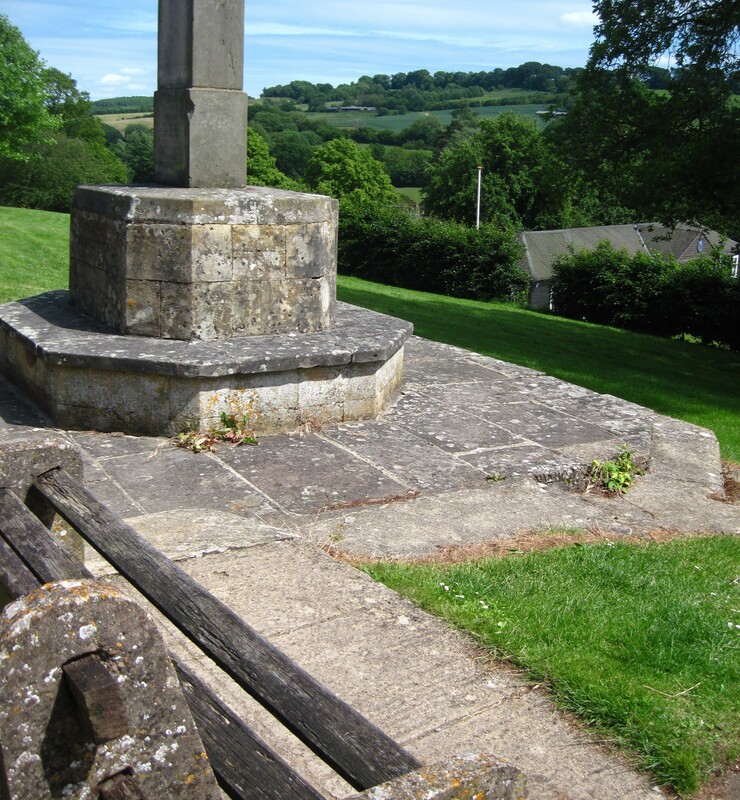 The bench was placed by two generous friends Phyllis and John and is a peaceful place to sit and enjoy the view, next to the village war memorial; thank you. Seeing that friends and colleagues have valued someone so much they have placed a memorial bench for them is a lovely thing that brings me joy. 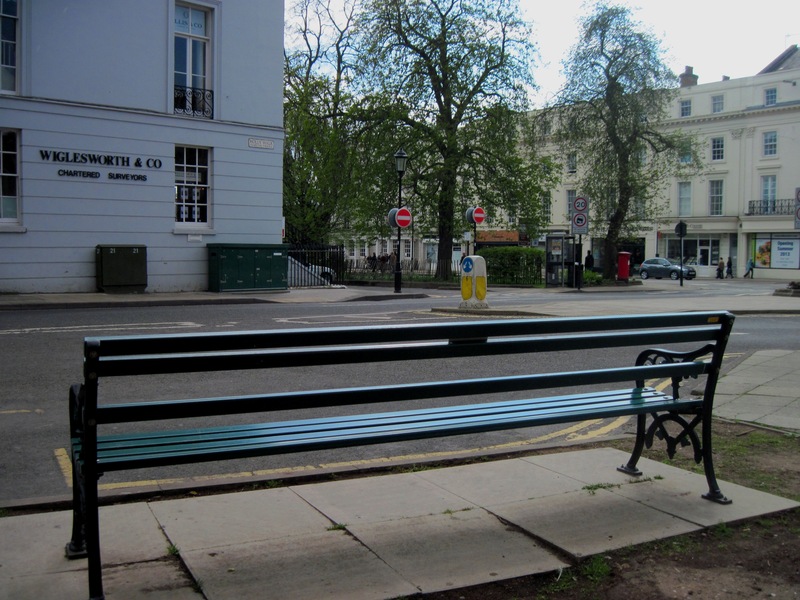 On a spring visit to Leamington Spa I found another bench linked to someone’s occupation on Hamilton Terrace in the centre of the town, by the taxi rank. On a Saturday afternoon no one was using the bench. However, on Google Earth on street view, you can see the bench is being used by a number of taxi drivers taking a break and sharing gossip. I am sure every time they sit there they give a moments thought to Daniel Dineen. 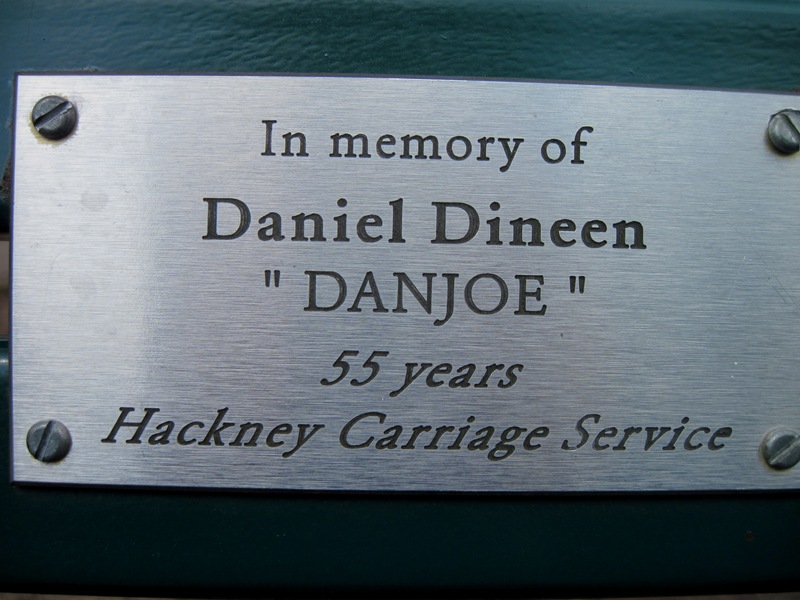 Daniel Dineen died at the age of 81 years on 19 April 2010. As well as a Hackney Carriage driver, he was also a husband, father and grandfather.